is an appeal to the friendship of God for our friends. keeps asking with a shameless boldness. is prayer that would wear out and trouble any person of this earth. is prayer at all times, even in difficult times. is prayer that cries out in desperation for an urgent need. persists in asking even when God seems distant. is always with great faith. is prayers that is made out of a genuine concern for its object. is prayer that has a concern for righteousness and for God’s reputation. is prayer with a fearless boldness. is motivated out of a fear of God’s wrath. has a sacrificial passion and love for people. is prayer that has an assurance of the answer. is prayer that anticipates the answer and is eager for the answer to come. is prayer that has such a great desire for it’s object and for understanding the will of God concerning that object that it is willing to commit to pray and fast for great lengths of time until God gives the answer. 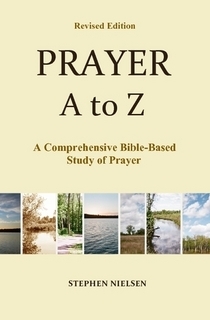 This entry was posted in Importune Prayer, Prayer A to Z Excerpts and tagged prayer, principles of prayer. Bookmark the permalink.